I came across this truck graveyard yesterday, so over the next couple days, I'll show you some of these images. 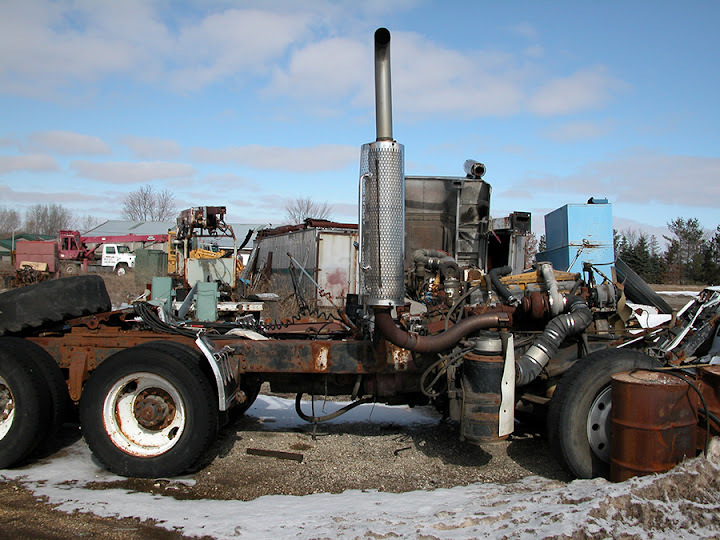 What struck me about this particular carcass was that the exhaust stack is still standing, which seems to make no sense. I mean, if I were disassembling a truck, I think that's one of the first things I would take off. It must have been kind of a pain to take all the bodywork off with that smoke stack in the way. It's almost like the person doing the scavenging job wanted to leave this old rig with some shred of dignity.